Visit these pages regularly to keep up to date with what's happening at the lakes and the fish that are being caught. Fancy a last minute fishing holiday in France? We have just a few dates available in for the end of June and July for Lake Melliant and Chalet Lake for the most fantastic carp and catfish fishing. Lake Melliant is located in central France, 2 hours south of Paris while Chalet Lake is located in the north east, not far from Metz. Both of these magnificent French fishing lakes are completely secluded and stocked with 50lb+ carp. This is not a ‘packaged deal’ – this is the real deal in Drive & Survive. 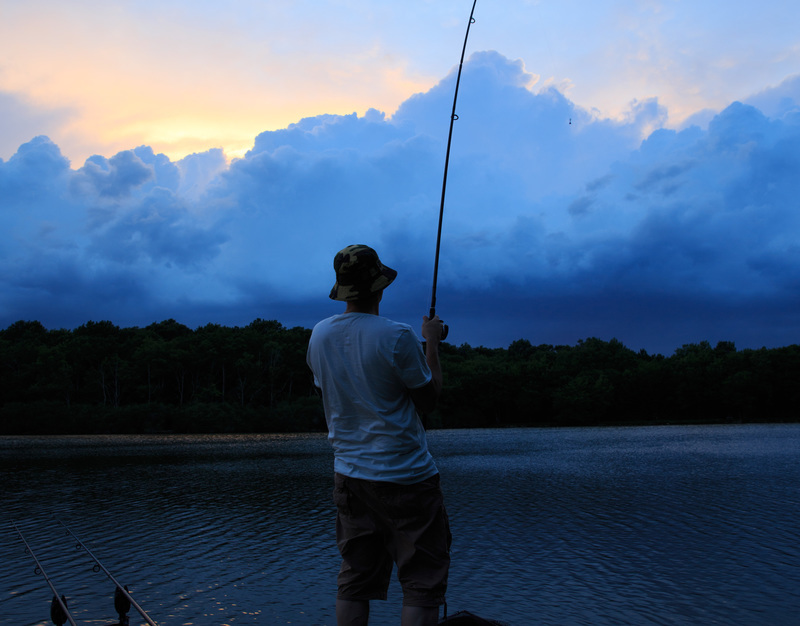 There will be nobody there to tell you what you can do, where you can fish or what bait to use. All you need to do is find a place to bivvy up and get your fishing gear out. 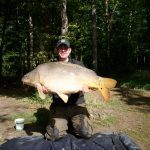 We are confident that you will catch decent fish in your week’s fishing holiday in France with us – as attested by previous guests. Just see our gallery if you doubt the size of our fish! All we ask is that you behave as you would have liked the visitors before you to have behaved, taking only photos and leaving only footprints! To book your French fishing holiday, check out the dates we still have available first and get in touch. Chalet Lake From The Sky! Check out a new post from Mark Haley whose video we’ve shared on our Facebook page. He may be learning to fly but he’s captured the seclusion of Chalet Lake perfectly. Not only that, he landed himself a 51lb+ Grass Carp too. 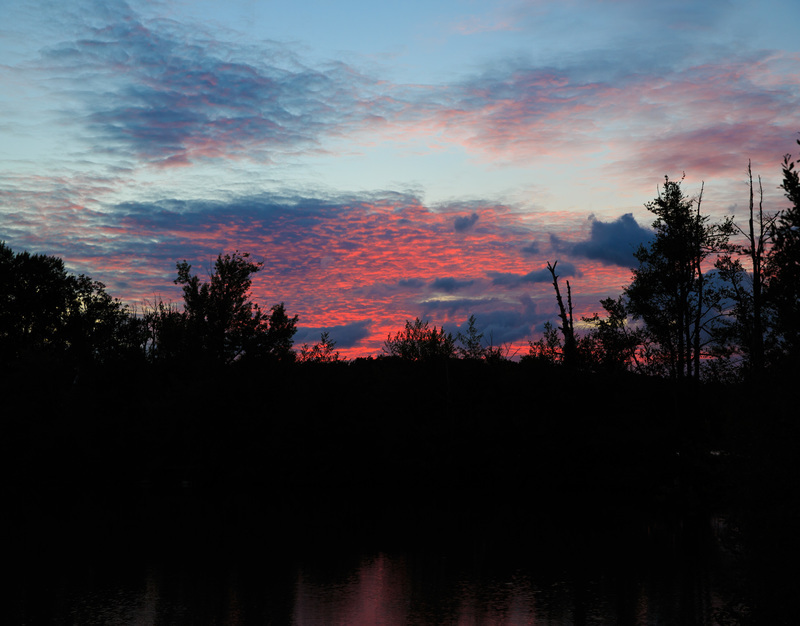 We’re looking forward to more pics from both our French fishing lakes as the season goes on….. keep them coming! 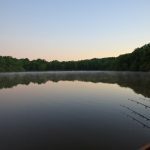 What makes a great drive and survive carp fishing holiday in France? – and that’s just about it! stunning surroundings and great spaces to bivvy, right up close to the lake. Chalet Lake is near Metz, 350 miles from Calais and Lake Meillant is about 130 south of Paris near St Amand Montond. The lakes are stocked with pure bred English carp from our own stock, grown under strict bio secure controls. The largest carp are around 60lb+ with smaller ones of 20-30lbs coming through to provide some sporting interest. We like our clients to have the chance to catch serious fish at our lakes. Just take a look at the pictures in the gallery to see some of the carp that might give you a run for your money. As for peace and quiet, we rent the lakes out on a weekly basis mainly to single groups of up to 6 rods who then have the lake to themselves on an exclusive basis. With 20 acres of water, there is plenty of space for everyone. Both lakes have great amenities close by which means that supplies can be picked up daily, if required. So, do you fancy drive and survive carp fishing in France? If driving to a stunning location, putting up your bivvy and getting your fishing gear out sounds like your sort of carp fishing holiday, where the fishing takes precedence over everything else, check the availability of both lakes and make yourself a booking! Both Lake Meillant and Chalet Lake are brim full of carp and ready for the new season. With Carp reaching the 60lb mark, the challenge is on! Availability for bookings are getting limited so if you want to get your fishing in – better get over to our booking page and get yourself a slot! If you want to see the size and quality of the fish you might catch at our carp fishing lakes in France, have a look at our Facebook page where we’ve just uploaded a video showing us after netting the lake. We estimate there may be 20,000lbs of fish! The most impressive thing is how young and clean all the fish are. Take a look at the New video from Lake Meillant and remember to comment if you like what you’re seeing! For more information about this beautiful French fishing lake, visit our Lake Meillant page. We have just returned from Chalet Lake where we have removed a great net of small silver fish and stocked an additional 1500lbs of carp up to thirty pounds. Following the floods of May/June this year when both lakes had water flowing over the top of the dams, the autumn and early winter has been very dry. As of January 2017, Meillant is still about 12-18 inches from full and we look forward to some sensible rain! Click on the prices page to see current availability at both lakes. Rather than transfer everything here, we have set up our own Facebook Page to share news and pictures and our guest’s successes. I have just returned from the lakes having introduced another 90 odd carp between 20-25lbs into each lake. We have done this for a few years now and think the stocks are about where we want them. Numerous enough to be busy fishing but not so many that they can’t find enough food to grow! Following the long, very hot summer this year, and despite heavy rain this autumn, both lakes are still fifteen inches from full. Judging by the number of calls from teams fishing elsewhere that had been cancelled due to low water levels, I guess this was a widespread issue this year. My local fish farming chum at Chalet Lake tells me that when the temperature is 35 celcius, as it was for quite long periods this year, and there is any sort of a breeze, you can watch the water levels fall by 1-2cm per day. Hopefully next season will be cooler! You can now follow us on Facebook. Search for Carp Fishers Abroad. Feel free to post photos and relevant stuff. Possibly our biggest catch from Lake Meillant? Well, what can I say about our week? We thought last years result might have been an exceptional freak week, after all we caught in excess of 180 fish. This year, despite the hot weather France has been enjoying, we decided to revisit the lake determined to catch even more and if possible break the 200 mark. Despite our high hopes of a repeat performance I thought that the hot conditions would probably prevent us. Michael the bailiff told us that the hot dry conditions had made the fishing harder and that the lake had seen little, if any rain in months. Little did he know that we would bring our own rain with us, within hours of arriving we managed to break the drought and turn our little part of France into Northern England, wet, cloudy and a lot cooler. As a result, the fishing was fantastic, we caught from all over the lake and at all sorts of ranges on a variety of baits, rigs and methods. Although a large proportion of the fish were caught at night and early morning, we also caught well during the days. 9 catfish, biggest weighed 74lb, an even bigger fish was put back unweighed. To say we enjoyed ourselves would be the understatement of the year! Fishing at Meillant puts a whole new meaning to drive and survive. Due to the constant heavy spombing, lack of sleep and prolonged hard fights put up by the fish we all managed to discover muscles we never new existed. Even though we caught so many fish, we were really pleased with the size and condition of the fish caught, 83 fish bigger than 30lbs, 12 of which weighed in excess of 40lb and 1 over 50lb says it all. I’m fairly sure that many of these will be even bigger in a few weeks as the feeding conditions improve. Thanks for a great holiday, we will be back in the future when who knows, maybe we’ll break the 200 mark.